Continuing with my little quest to buy less makeup and use up what I have got, once again I delved into my collection and started using some old faves during the month of December. 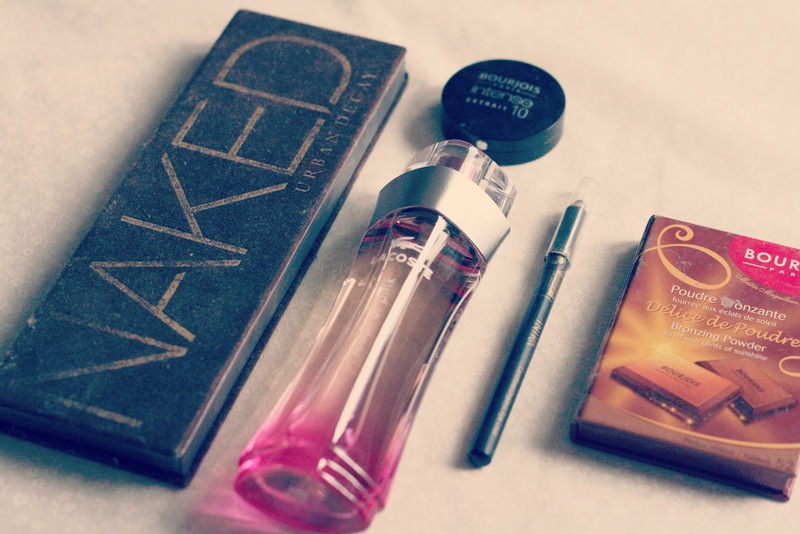 I have set myself a few little goals to completely finish a select number of makeup items during 2013. I know some people are doing complete spending bans for x amount of days. However I would rather just set myself this challenge to use up what I have, putting the label 'spending ban' on it may be a curse. I also want this to continue throughout the year, not just for a set period of days. Being someone who doesn't really finish anything cosmetics wise, this could be a bit of a challenge but It's something that I feel I need to do. Afterall I only have one face, do I really need 18 blushers? After using the body shop shimmer cubes during November, I decided to switch it up and give my Naked palette a bit of attention. I'll admit I havent really touched the darker shades in this palette but Naked and Buck have been my eyeshadows of choice for to day to day wear. A quick swash of colour over the lid and some eyeliner and I am done! For the days where I had time or wanted to make a bit more of an effort I used Sidecar or halfbaked over my Bourjois Intense shadow in Noir Fusain #10. By doing so I achieve a really dark smokey eye with that slight hint of shimmer. Honestly if you haven't tried those two shades from the Naked palette over a matte black, I suggest you do, stat. 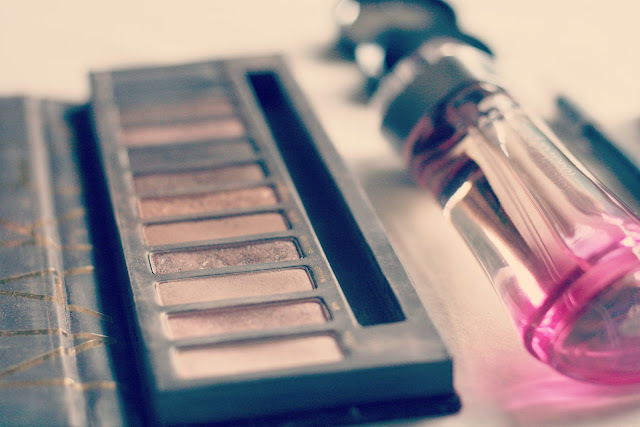 To go alongside this smokey eye look, I found myself reaching for a pencil eyeliner to go along my waterline. This Inka pencil in Black Caviar came from a beauty box, possibly Glossybox. It's a really intense black which lasts well on my waterline, and can be used along the top lash smudged a little which is something I do if I really want to go all out on the smokey eye! After Charli informing me that she eventually hit pan on her beloved Bourjois chocolate bronzer, I decided to dig mine out and try and follow suit. At one point this was the only bronzer I owned, I now have about 5 others sitting side by side in my storage. Finishing at least one would be nice! I think a lot of people own this bronzer, if not I'm sure you would have swatched it. It's such an affordable cult product within the blogging community! I'm trying to use up some of my older products too, I have so many and I'm probably going to move back in with my mum after uni in 6 months (cry cry) so I really need to make my collection smaller! 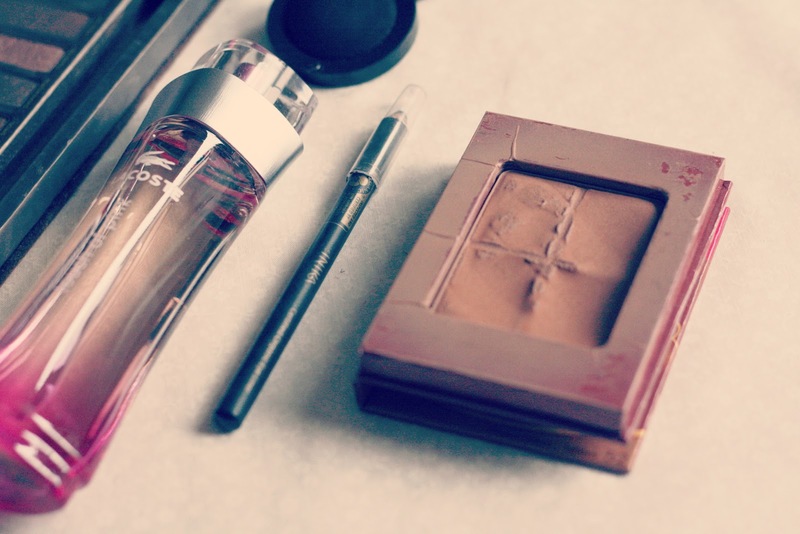 I really want the Bourjois bronzer, I've swatched it before but never bought it. It's beautiful! I'm trying to use some products i neglect too, i've always wanted to try that chocolate bronzer! Oh that bronzer looks lovely! I absolutely LOVE this idea! I was thinking of starting a spending ban but this is such a great idea, a much less scary way of doing it. I can't remember the last time I actually finished an item of makeup so this is something I'm going to be doing for sure. This is a great idea, however I own far too much make up I can't see myself ever hitting pan! I think I could do it if I worked hard at using up my Colour Tattoo; with my higher end products I think I'd be reluctant to have to go out and replace them. I didnt think I would ever hit pan, but I did on 3 products in December! Now I cant wait to actually completely finish them! -Heading in the right direction! I used to love the Bourjois bronzer too, I love that its matte and fairly easy to apply/blend. Gonna dig it out! I love my naked palette too! I kind of forget about it every once in a while, but i always come back to it! Been meaning to try that bronzer for ages!! That's such a great plan to use up old products rather than buying new ones, I am such a sucker for advertising so always have way more products than I need. haha thats so funny, I used to love Lacoste Pink although haven't bought any for ages and my bf called it the Lianne scent too :-). Just came across your blog and think its fab so following now. I love Lacoste - Touch of pink. It's one of my favs of all time perfumes! I'm out though and I hate buying perfume, especially when I have so many! I recently got my Naked 2 back out and gave it some use too.. misplaced it for quite a while! Thanks for taking the time to read my post. New In : Mac Dazzlesphere Smoky Berry Pigments. Review : Love Lammie Travel Wash Bag. Downsizing your Collection : Nail Varnish. Do you clean your hair brushes? LIFE : The best of May 2016. BEAUTY: Urban decay Revolution Lipstick in Naked.